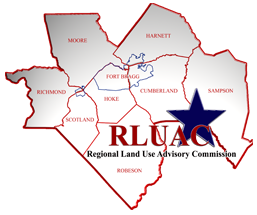 RLUAC consists of 20 units of local government: 8 counties and 13 municipalities as displayed below. Each member local government has individual voting and non-voting members. In addition, many members of RLUAC are non-voting, representing, Fort Bragg, Sustainable Sandhills, and many other partner organizations and individuals.